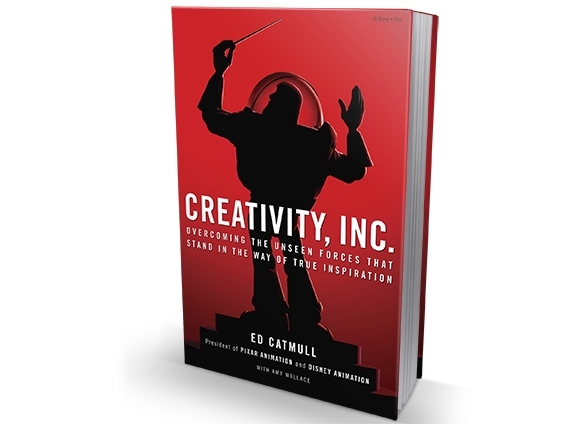 I am reading Creativity Inc, written by Ed Catmull, one of the founders and President at Pixar Animation Studios. I am enjoying the book and will write more about it once I complete the book. For today though, Ed Catmull reminds me of a story from early in my work career. In the book he remembers his first day walking through the Disney Animation Studio after Disney acquired Pixar. As part of the deal Ed was now the President of Disney Animation in addition to Pixar. Pixar is known for how each employee expresses their individuality with how they decorate their work stations and offices. As Ed walked through the Disney Studio every desk was clean and void of any real expression. These were creative people and Ed knew there was a problem. I remember. Flash back 25 years ago and a different world. An important visitor was on his way. The Chairman of Sears was visiting. Back then that was a big deal when Sears had its own financial network owning Dean Witter, Coldwell Banker, and Allstate Insurance. I was a supervisor in our Administration Department working at a small subsidiary of Allstate. I had one job leading up to the visit … hide everything. We cleared off every employee desk and left only a phone and computer terminal if the employee had one. No papers, no folders, and most certainly, no individuality. We placed all personal pictures and objects out of sight. I remember filling closets and storing boxes full of individuality in the far corners of our file room. The Chairman and long line of senior management walking throughout our office and seemed pleased. He commented on how neat and organized we kept our office. Thank goodness he never opened any random closet door. As employees we knew the exercise to hide ourselves was silly at best, and sad at worse. It took me days to restore the full office to how we were, still neat and organized, yet full of family photos, funny pencil holders, knickknacks, and potted plants. Yes, I hide the plants too. Back to the present and Ed Catmull at Disney Animation Studios. He is a modern leader and knew something was wrong when he saw how every desk and office space was sterile. He asked the Facilities Manager directly about it and was told they cleared off their desks to “make a good first impression”. An impression indeed. He had work to do.